This affordable multi-task stand dryer is popular in smaller or part-time salons – we recommend modest workloads not exceeding 5 dogs per day. Single fan carbon brush motor requires routine servicing. Variable air speed and temperature for versatile drying. 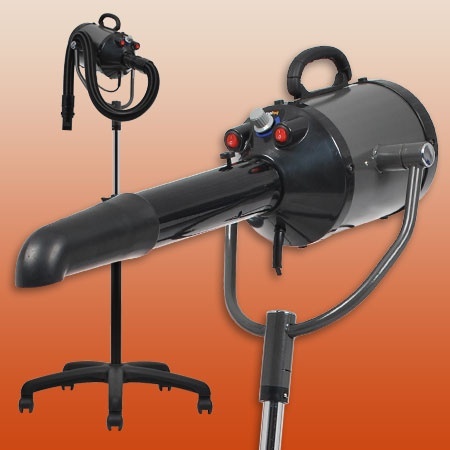 Interchangeable accessories: high-velocity and finish drying. Detachable interchangeable styling nozzles (x3).